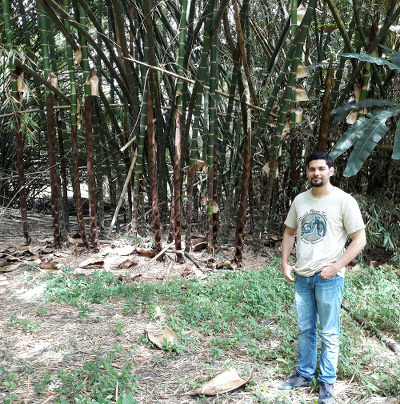 The Elshire group has been an invaluable support for our project on Guadua angustifolia, a tropical bamboo growing in the Colombian Andean Mountains with tremendous uses for housing, buildings and agriculture. The guidance and advises from Rob and Robyn provided us an amazing opportunity to get high quality and valuable SNP discovery for this species. All downstream sample preparations (library prep, sequencing and bioinformatics) carried out by the Elshire group was highly accurate, as well as their wonderful help, not only for SNP calling, but also from the very beginning of our project, everything on time and with absolute kindness. Thanks to the Elshire group we could apply GBS studies for the first time on G. angustifolia. — Jorge Londono, PhD Student, National University of Columbia.